The CaTS Technical Training team offers training on a variety of topics and software programs, including Microsoft Office, Qualtrics, Adobe Acrobat Pro, and more! We also coordinate in-room training for professors and faculty wishing to learn more about equipment and technology installed in the classrooms. See below for information on how to access our services. 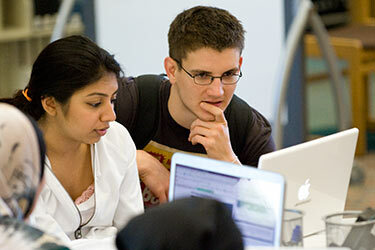 We offer hands-on training for a number of software programs and university services. You can view our current offerings on the Workshops page. If you would like one-on-one training for a topic or software program, contact us and we will do our best to accommodate your request. Send an email to cats-training@wright.edu with your name, department, and training request, and we will contact you as soon as possible. We coordinate and provide training to faculty and professors who want to learn how to use equipment installed in their classroom. To request this service, send an email to cats-training@wright.edu. All Wright State faculty, staff, and students have access to hoonuit, a free online video training service. You can learn more hoonuit and the training provided by visiting the hoonuit website.